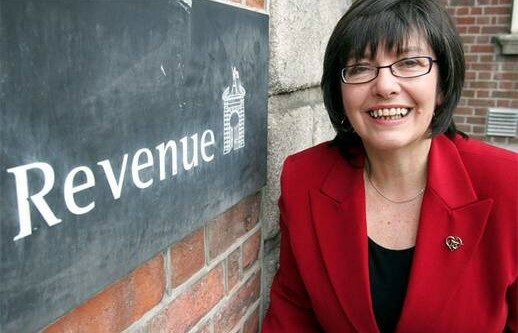 Revenue Commissioners chairman Josephine Feehily has warned that they will begin deducting the local property tax from people’s pay or social welfare payments from as early as June, if they refuse to pay the charge before the deadline. In an update on the progress of the new tax yesterday, Ms Feehily said her department had received 218,000 property tax returns so far out of 1.6 million – a rate that she described as “excellent”. She said, however, that for “people who have not engaged with us” then they will start taking the cash at the end of June or late July. “We will enforce the estimate (of property tax owed) by deduction from payroll for workers on PAYE and from occupational pensions for people using them,” she said. Those who pay tax by self-assessment will be deemed to be “not compliant” and will be surcharged on their return from October – which would effectively double the charge. Speaking at the launch of their annual report, Ms Feehily urged property owners to submit their estimate of how much they should pay, and not just accept the amount the Revenue has charged. “The amount on the letters we have sent out is not a relevant figure unless the property owner does not submit their own return. You decide how much your property is, you pick a band and you pay the tax. “What we are saying is this is the amount we will charge property owners if they do not submit their own return,” she added. People such as tenants who have received letters from the Revenue for property tax in error have been urged to contact the taxman so that they will not be pursued. Is the mortgage crisis worse than we thought?